We are committed to defending the rights of employees and ensuring that our clients receive the best outcomes. We are proud of our well-earned reputation, the sophisticated nature of our practice, and the recognized standards of excellence that we maintain. Consider contacting Frank Freed Subit & Thomas to retain the representation of an experienced Seattle employment law attorney. Contact Frank Freed Subit & Thomas today! If you are ready to move forward with your employment law concerns, please don't hesitate to contact us. 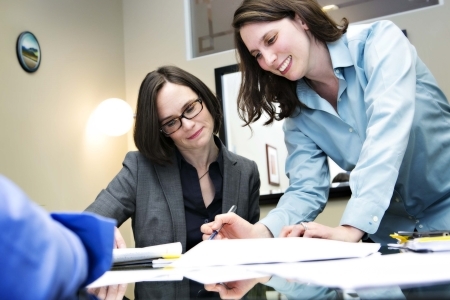 Our attorneys are experienced and highly regarded among our peers. The firm has been awarded an AV Preeminent Rating from Martindale-Hubbell, an organization that has a long history of peer review ratings of lawyers. According to Martindale-Hubbell, Frank Freed Subit & Thomas' AV Preeminent Rating represents "a testament to the fact that a lawyer's peers rank him or her at the highest level of professional excellence." We take great pride in the fact that our peers, including our adversaries, have ranked us so highly. If you are interested in our representation with our Seattle employment law firm , please take the time to fill out a case evaluation form and contact Frank Freed Subit & Thomas, and we will respond with information about how we might proceed. Alternatively, feel free to contact any of our attorneys directly.